How can music change the lives of disadvantaged children? Afghanistan’s first institute of music train children in traditional Afghan and classical Western music, while providing a high-quality academic education, regardless of gender, social circumstances and ethnic background. What is the Afghanistan National Institute of Music? Music is part of Afghanistan’s rich cultural heritage. Yet, during the time of Taliban rule, people were banned from listening to or practising music, including in schools. Young people still face barriers to musical education, including persisting beliefs that music is immoral or unvirtuous. At the same time, there is a need for disadvantaged children, girls in particular, to receive a quality education that will broaden their life opportunities. The Afghanistan National Institute of Music (ANIM) is the first of its kind in Afghanistan. The school offers co-educational teaching of a full academic curriculum, including both classical Western and traditional Afghan music. ANIM transforms the lives of children by facilitating opportunities for those of different ethnic groups, backgrounds and genders. Over half the students are orphans or members of the street community and almost a third are girls. The school demonstrates the power of music in bringing about social change through promoting gender equity, democracy and open-mindedness. The school is multilingual, teaching in the two main Afghan languages, Pashto and Dari, as well as teaching English. Half of each day is committed to general education, including maths and science, and the other half to a blend of practical and theoretical music study. 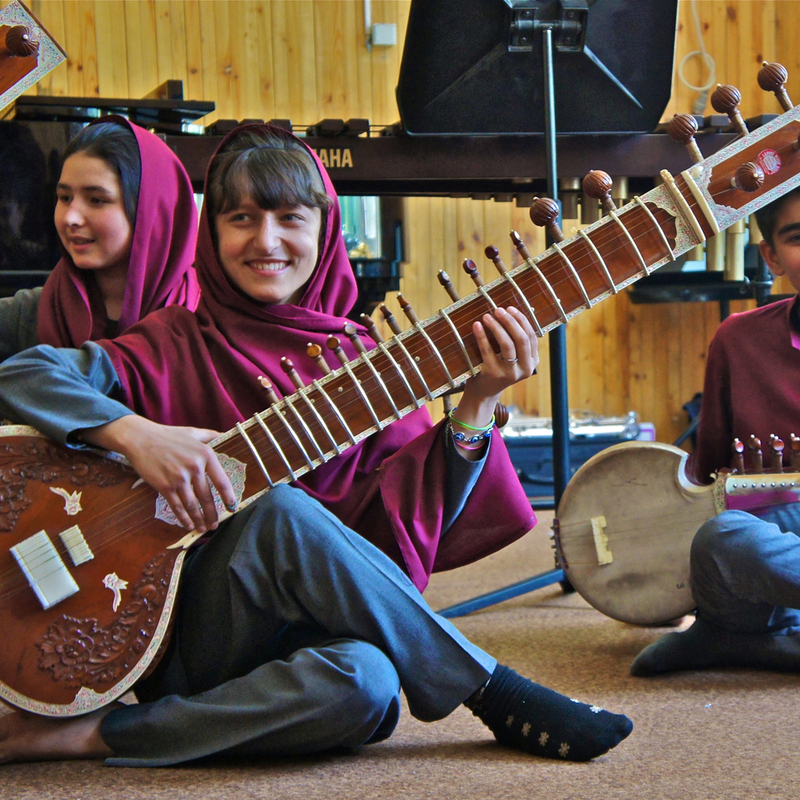 To teach Afghan music, the school uses traditional pedagogical methods and local instruments. Music is learned aurally and augmented with modern recording methods. Classes are taught by specialists from different regions throughout Afghanistan, sometimes returning from exile to teach at the school. Group and individual classes are held every day. Western music is taught by visiting educators from around the world. All orchestral instruments are taught, as well as experience of conducting. ANIM has educated Afghanistan's first female conductors. Students are trained rigorously in technique and repertoire, and practice chamber music and orchestra. 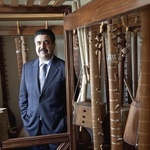 Musical styles and instruments are frequently blended, such as playing a waltz on a Afghani rubab, to break down social and musical barriers. Teachers, musical collaborators and benefactors work together to run ANIM. The current annual cost of running the school is $500,000. This covers the building and maintenance of the school, purchases of instruments and sponsorship of individual students from disadvantaged families. ANIM has a special focus on supporting the most disadvantaged groups in Afghan society to attain an education and vocation that will allow them to reach their full potential, while contributing to their social and economic status and emotional healing. ANIM ensures that orphans can come to their school and continues to emphasise girls’ education as a necessity, recognising their right to contribute as constructive, valued and respected members of Afghan society. ANIM has touched many lives. One of their students, a boy who once sold bags in the street, is now a beautiful pianist. Girls are deprived from education in Afghanistan and ANIM fully supports girls in their school to complete their education and obtain a diploma. For the first time in Afghan history, Afghanistan has a female-only orchestra. ANIM has overcome incredibly difficult circumstances in Afghanistan. This model has the potential to be successful in more countries across the world, including other post-conflict nations and those where music is constantly under attack. ANIM works to revive Afghan musical traditions after music was banned under Taliban rule in Afghanistan. ANIM has a focus on disadvantaged children and advancing education for girls. ANIM uses music as emotional healing from the stress and hardships of war and as a way for students to connect with their communities. The young generation of Afghanistan is growing up with an awareness and understanding of music, education, international dialogue and cultural exchange.